Absolute Radio sounds better on a digital radio. Not only can you hear us without the crackle, but you're also able to hear our other stations including Absolute 80s, Absolute Radio 90s and Absolute Classic Rock. This is especially good if you can no longer hear us on 105.2FM in the West Midlands. Switch over to digital, and there we are! 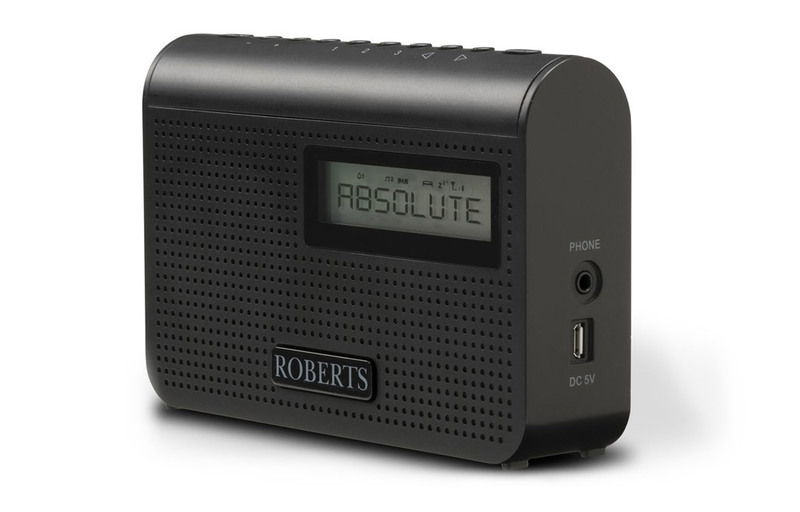 Luckily, we've got Roberts Play M2 radios to be won! If you're looking for the perfect portable radio to take into the garden or out on a picnic, then the Play M2 is the radio for you. It can receive DAB and DAB+ stations, giving you even more choice, and can be either battery or mains powered. To get your hands on one, all you need to do is answer the question below. Good luck! In order to enter this competition, you need a free Absolute Radio Account. Sign-in or register for instant access to exclusive competitions and benefits. Account registration is free and you'll be done in less time than you've taken to read this. Once you are signed-in, we'll bring you straight back here to enter the competition.